Apple to finally update Mac Mini? Apple is to give its Mac Mini range an update, according to reports. The diminutive computer has long been due a makeover. Launched in 2005 to 'little' fanfare, the computing cube has been shunned of late in favour of cheaper laptops and netbooks. Its last update was in 2007, which is a long time in the world of Apple, where products normally get a six-month refresh. 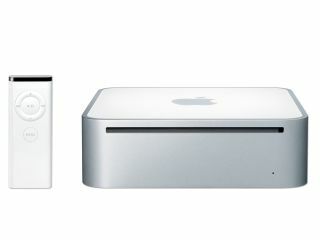 As with any Apple launch, there is no complete confirmation that the Mac Mini will be updated, but Wired.com is reporting that an anonymous employee has spilled the beans about the upcoming launch, which is set to take place in January at the Macworld Expo in San Francisco. The event which takes place just a day before CES in Las Vegas (5 January) is the biggest date in the calendar for Apple aficionados, as Steve Jobs usually chooses the expo to showcase Apple's latest products – annoyingly to much fanboy whooping.